I have been checking Tessa’s blog for another Coffee Shop Chats post, but she hasn’t posted one since July 6th, and I really want to do them every other week, so I hope she won’t be offended that I am doing this. I also recommend that you visit her blog for her other posts. She is a very busy, young, successful writer and shares lots of interesting things. Simply go to the website you see in the photo above. arrived! I am so excited! 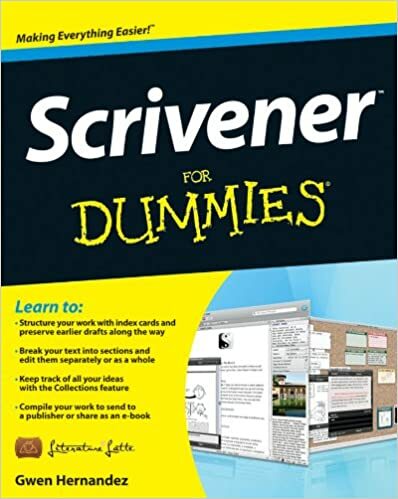 I will now be able to know how to use ALL of the wonderful features of Scrivener! I have already found that when I write my next novel, (I think it’s too late to use all of the features for my current novel), I won’t have to have any paperwork, which will be really weird for me because I’ve been writing since before computers. (Yes, now you know I’m old.) But, all of my information on my characters, my time line, even my research can be kept in Scrivener! I highly recommend Scrivener to all serious writers. 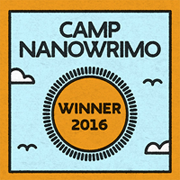 The big news of the week is that yesterday, I met my Camp NaNoWriMo goal and became a Camp NaNoWinner for 2016! The best thing about participating in Camp NaNoWriMo was that I finally found a way to beat my procrastination with my writing. When I wanted to write, working on my novel, during the month of July, I would turn on my laptop and go straight to Scrivener, which immediately put me in writing mode because that is where I write my novels and short stories (not Flash Fiction). I was able to remain focused and write until I needed a break to figure out my next scene or one of my main characters’ (I have two) reactions to what happened in the previous scene. I averaged about 806 words a day. Sometimes I did between 700 and 800, a couple of times I wrote 1,000 or more and yesterday I wrote close to 3,000 words! I have a nice little badge on my sidebar now showing my Camp NaNoWriMo accomplishment. So the key to my writing success is to find a time earlier in the day for social media, and when I want to work on my novel or a short story, go straight to Scrivener and AVOID social media! In addition to working on my novel, I want to continue to write and schedule blog posts far enough in advance that if I hit a crazy busy weekday or week, I won’t miss any posts here where you all come to visit. I also started a short story just before Camp NaNoWriMo began and haven’t worked on it since, so I want to get back to that and finish it. I also want to write some devotionals, Chicken Soup for the Soul stories and other things. Do you prefer music or quiet while you write?